A Biologist by education, but a security management expert by profession. She propelled the Agency from its humble beginning to its present status. In 1987, she was in full control of the Agency by taking over the ownership from her father. 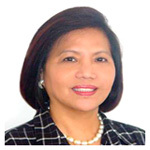 Enhancing her security expertise, she is an active member of the American Society of Industrial Security (ASIS), the Philippine Society of Industrial Security (PSIS), the Association of Hotel Security Officers of the Philippines (AHSOP); She has attended various seminar and conferences in the field of security management, the latest of which was the ASIS Security Conference in Pennsylvania, in September of 2002. Law practitioner. He has honed his expertise in hotel security and management with his 15 years stint with The Westin Philippine Plaza. He was a key officer of the Association of Hotel Security Officer of the Philippines (AHSOP). He has likewise attended training and seminars to enhance his profession in law, management and security areas, which include among others, the Risk Management Seminar in Vail, Colorado, familiarizing himself with other Westin properties in different States. At present, he is with the Agency teaming up with Ms. Soliman as Assistant General Manager, aside from his law practice and other socio-civic activities. A Sociologist by training and spent his college days helping the U.E. faculty in the translation of several books and manuals in the behavioral science field into Filipino. He also worked as a librarian for five (5) years that developed his interest for books and research. 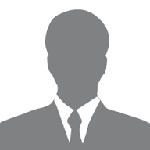 He joined Golden Pizza, Inc. in 1979 as supervisor and was sent to numerous seminars and trainings local and foreign; John Robert Powers, John Clemens, Guthrie & Jensen and NMYC, PSI, U.P., Meralco Foundation to name a few. He also lectured in different schools and public fora on behavioral and social dynamics and has handled training programs for Shakey’s, GDI, PSI and Amthrust Holdings. 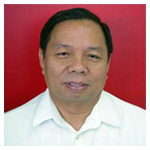 As HRD Director of Soliman, he handles recruitment, training and employee development programs.